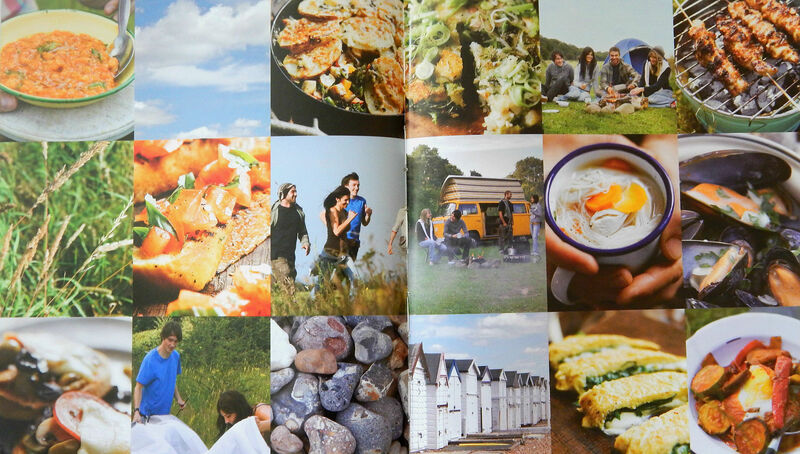 It is summer time and I have the perfect cookbook for this time of year – The Camping Cookbook – Recipes for the great outdoors. It even offers some advice on why skipping breakfast is bad for you and how to beat bad weather blues. There are over 70 yummy recipes in there or how I would describe them as a list of our favourites. Some of the recipes are simple meals that we might do everyday anyways like Bacon Butties, Apple and Spice Porridge or a Rice Pudding but despite this fact I really like this book. I think it offers a great selection of dishes to pick from and it is written purely with outdoor cooking in mind, so you know the recipes will be fairly easy and will only require a minimum number of ingredients. I picked few of my personal favourites to share with you. 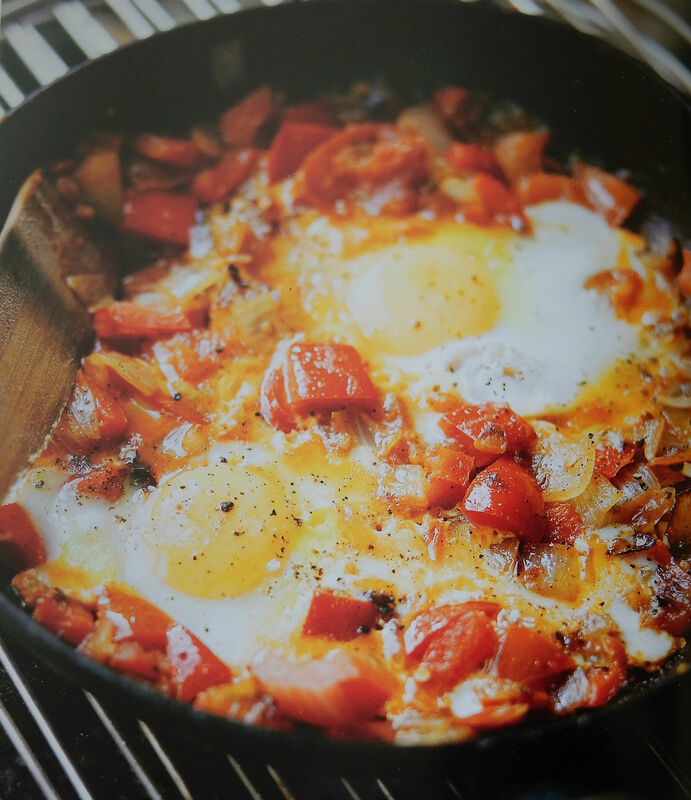 Spicy Fried Eggs – this reminds me of all the camping trips I took as a child with my parents. I actually still cook it from time to time but Mark isn’t so keen on it. He thinks that all the additional trimmings do not belong with eggs… but hey what does he know? Tomato Bruschetta is my next pick. It is so quick and simple yet so delicious. 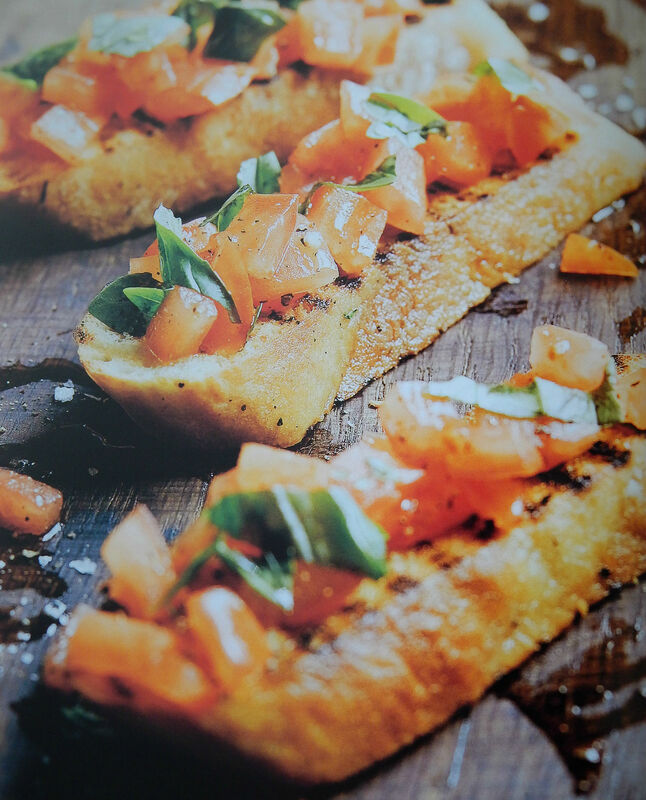 I totally adore the taste on nice fresh toasted bread, sweet juicy tomatoes and basil. This is a perfect lunch meal… anytime and anywhere. Sunshine Risotto makes for a perfect dinner meal; it is light and healthy, fabulous looking and full of goodness. This might not be the quickest meal but once camping we shouldn’t be in any rush. It is good to take your time and prepare your meal with love. This particular recipe features sun-dried tomatoes, which give the biggest flavour burst but it can be adopted to suit any pallet. 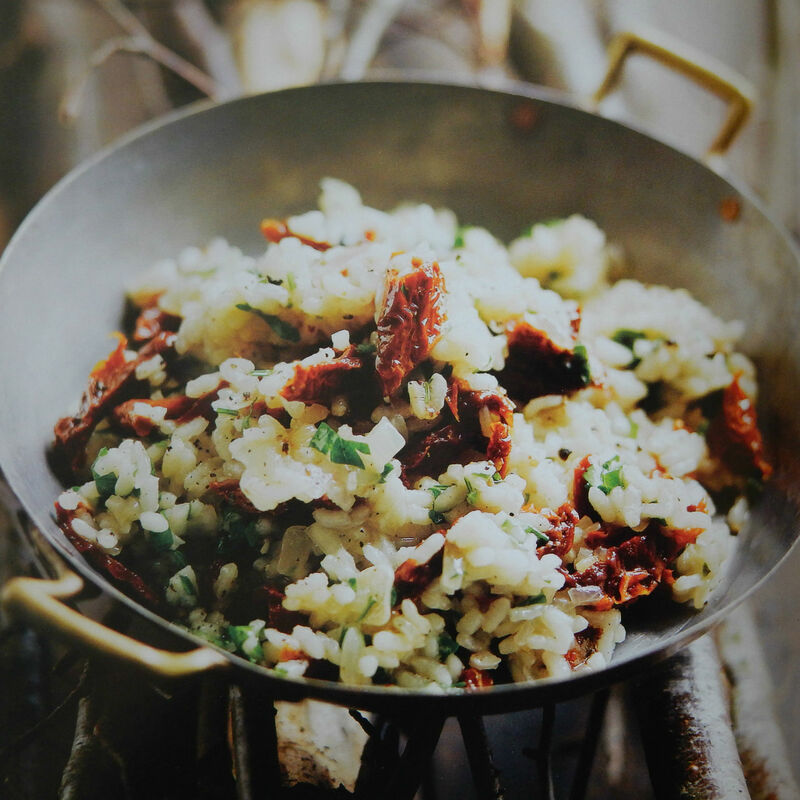 If you are not a tomato fan you can try and create for example a mushroom risotto, especially if you are close by to some nice woodland and can go and pick your the wild mushrooms yourself. There are Meatballs on a Stick. This is my favourite recipe from the book. I totally love it and I just can’t believe that I’ve never thought about doing it before. The recipe calls for pork and herb sausages, fresh minced beef, breadcrumbs, onion, fresh herbs, egg and some salt and pepper to taste. It couldn’t be any easier. 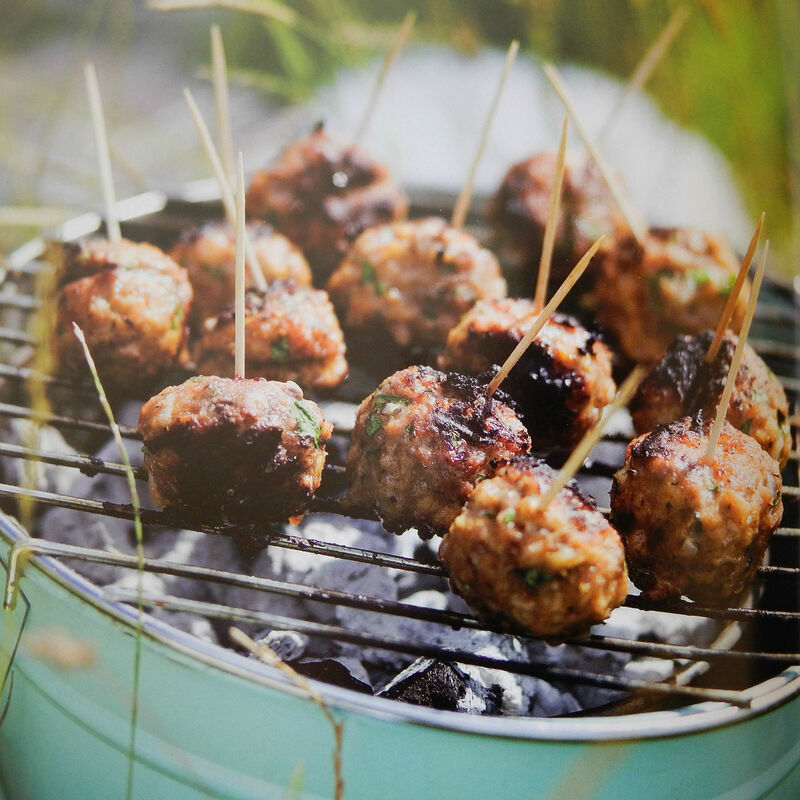 It reminds me of my Polish Meatballs 😉 I am sure cooking it on the BBQ will enhance the flavour and provide a great dining experience. 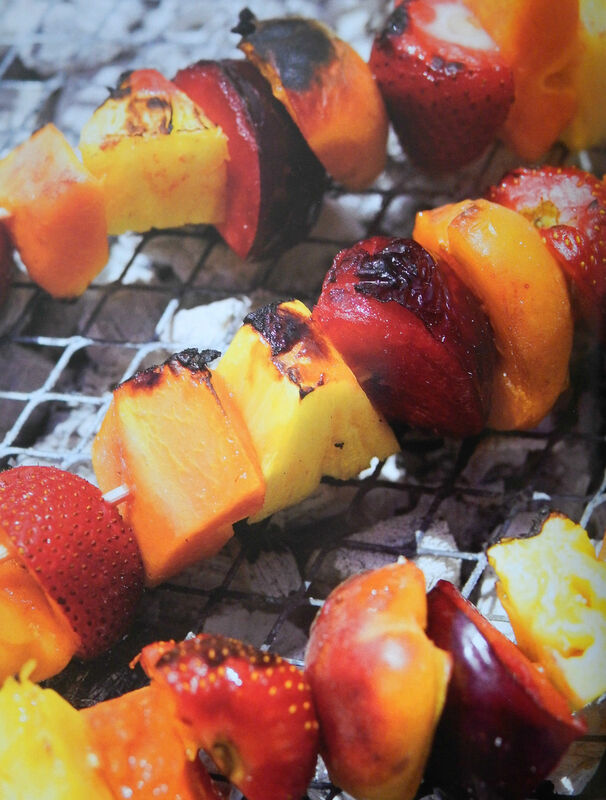 Fruit Skewers is my choice for a pudding. I love fresh fruits and I love chocolate, so these two paired together makes for me a perfect combo. You are supposed to brush your fruits with a little maple syrup, which will make them caramelize over the fire. Then just drizzle over them some melted chocolate and enjoy the fresh sharp taste of the juicy fruits mixed with the sweet chocolate. Oh, this really sounds great! So what do you think about my choices? Would you like to try any of these dishes? We NEED this book. My camping repertoire is rather sad and small! That;s awesome, I need this for our camping trip in November! Now that looks like the kind of food I want to camp with! Seems like a great book when taking the family camping for the first time. Those meatballs look awesome too. This cookbook looks great my family would love the food!! What a cool cookbook! We haven’t gone camping with the kids but we’ll have to be prepared for meals and snacks! I’m definitely making the meatballs when we go camping in October, thanks! My father-in-law scarred me for life with one of his famous camping breakfasts. He definitely needs this cookbook! 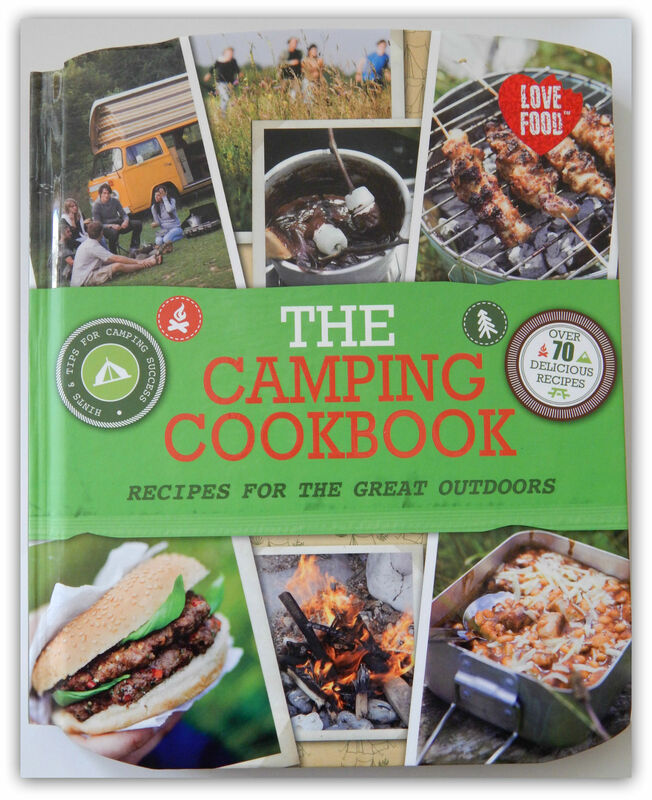 Not usually a fan of camping but I’d be interested in trying it now just to try out some of these recipes, they look fun to make! I’m not by any means an outdoor person so wouldn’t normally look twice at a book like this, but it actually looks pretty good.